Home » Films » Carsten Stroud’s Black Water Transit has a director. Carsten Stroud’s Black Water Transit has a director. Production Weekly is reporting that Tony Kaye is negoiating to take over directing duties for the big screen version of Carsten Stroud’s Black Water Transit. Samuel Bayer had previously been attached to it. Kaye is best known for 1998’s critically acclaimed American History X. Bayer is best known for videos from bands like The Smashing Pumpkins and Garbage. 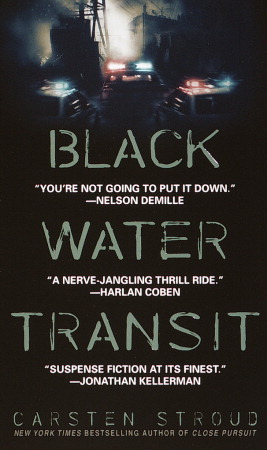 Black Water Transit tells the story of Jack Vermillion (Samuel L. Jackson) , a former Nam vet turned successful owner of container ship company. Jack’s son, an ex-junkie, is serving a ten year sentence for robbery and is having a tough time handling maximum security prison. When Earl Pike (Bruce Willis), a former army colonel with CIA contacts, approaches him about transporting his family’s rather illegal collection of weapons out of the country, Jack sees an opportunity to make things better for his son. Meanwhile NYPD officer Casey Spandau (Sophie Okonedo, who played Don Cheadle’s wife in Hotel Rowanda) is working a double homicide with Pike as the chief suspect. Her crew stumbles onto the ATF’s sting for Pike, resulting in a firefight that leaves both Feds and police dead. As a result, Jack now finds himself the target of both the Feds and Earl Pike. Did I mention Pike is already wanted for murder? Did I mention those murders were extremely brutal ones at that? Jack’s only ally is Spandau and he is not going down without a fight. Unfortunately, neither is Pike. The screenplay is from Doug Richardson. Doug most recently wrote the screenplay for Live Free or Die Hard, the fourth flick in the Die Hard series. He is also responsible for the scripts for Bad Boys, Die Hard II, Money Train and The Hostage. Doug has a rather spotty history. I honestly don’t know if I will ever forgive him for Money Train. All of us that suffered through that film should have filed a class action lawsuit for pain and emtional distress. Production was supposed to start this month in New Orleans, but things have likely been delayed if they are working on signing a new director. This will be Willis and Jackson’s fourth film together…well, fifth if you count Bruce’s appearance in Loaded Weapon.